Our next Mumma is a young go-getter who has grown her business, Celia Loves from the ground up. Incredibly humble, Stefi does everything from social media to web and production, she is also a Mum to two gorgeous girls, Hazel and Grace and wife to Jase. Living in our home town of Geelong, we're proud to call this lady our neighbour and can't wait to see what the future brings for Celia Loves. What a woman you are! We absolutely love what you're doing with your third child, Celia Loves. What do you think has taken you to that next level? Oh my gosh, thank you! It's always so humbling to hear a statement like that. I pinch myself every time someone speaks highly of my business! I am very proud that Celia Loves has grown from strength to strength. If I'm honest, I believe it's because I haven't been afraid to push the boundaries and create my own path in an over-saturated market, all the while staying true to my vision and myself. Is there any businesses that you look up to or admire? There are so many incredible businesses that I admire. The ones I'm drawn to the most are those who have taken an idea and made it their own. 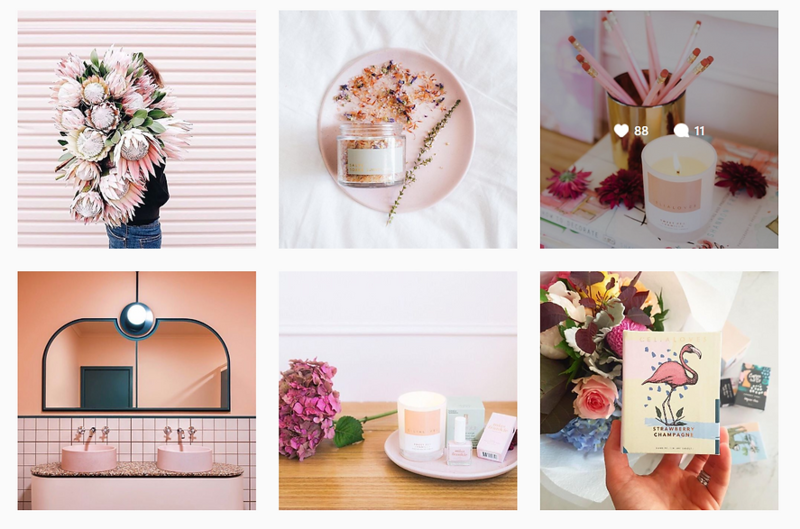 For example, Kip and Co - they are absolutely leading the way for colourful patterned bedding in a market that's heavily focused on blush pink and neutral tones. I love that they're doing things differently and killing it too! You’re a Geelong local, like us, and if you're from Geelong you've got food at your core! For those looking at a day trip to Victoria's hipster capital (yes, that can be confirmed here thanks to the Herald Sun) and want to know the best foodie places, where would you recommend? I LOVE great food! You will often catch me enjoying meals at the likes of Alma (they make seriously good South American food), Tulip, King of the Castle, Bistrot Plume, Wah Wah Gee and sneaking in a croissant and coffee at That Place. What has been your biggest accomplishment as a mother and a business woman? It might sound simple, but in terms of business, the fact I just started and followed my heart in terms of design. As a mum, I hope I'm raising happy, confident little girls who aren't afraid of change, who will question the norm and follow their own path of happiness. Let's test your creativity with this next one... if you could explain motherhood as a variety of wine, what would it be? Haha, that is tricky and a great question! The first thing that comes to my mind is a 6Ft6 Pinot Noir. You've got to remain humble and down to earth and teach kids about their roots, yet let them flourish and show their true character! Although you're absolutely killing it, I'm sure you've got your eyes on the next thing for Celia Loves. Can you divulge some of your future secrets? Yes, absolutely! I'm actually branching out and adding a range of hand creams and hand washes, which is super exciting! They have stunning label designs and the scents reflect our Australian Native flowers. This range makes me so incredibly happy; as I'm finally reaching long term goals. 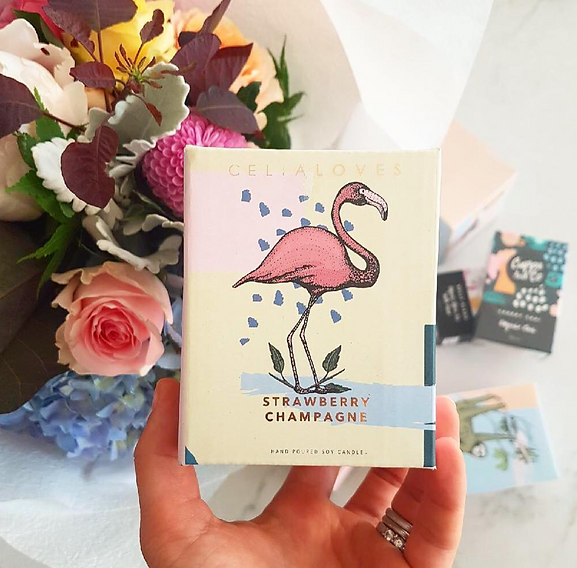 Another trade secret...how do you come up with your favourite scents and what is your inspiration for the super cool packaging? For those who know me well, know I love floral fragrances and those spicy undertones (no wonder she likes Pinot Noir!! ), so I incorporate a lot of what I personally burn at home into my ranges. The inspiration for the packaging is a fusion of 1920's illustration and modern abstract! I thoroughly enjoying mixing styles and patterns together. Well, I don't know about you, but we're all feeling inspired here at 6Ft6 after reading that. Love hearing about super Mum's kicking some serious goals!